The Cache Valley Home and Garden Show is one of the biggest events the Eccles Ice Center has thoughout the year. The 24th Annual Cache Valley Home & Garden Show will be held this Friday and Saturday, March 22 and 23, at the George S. Eccles Ice Center located at 2825 North 200 East, North Logan. Doors open Friday at 10 a.m. until 8 p.m. and Saturday it will open at 9 a.m. until 6 p.m. He said the 25,000 foot arena will be filled with as many varieties of vendors as he could find. This year’s bunch ranges from flagpole companies to insecticide applicators, and floor companies to roofers. Roper said he tries to do it this time every year because most people are getting ready to work in their yards. The Home and Garden show gives people a chance to see new trends. This show can get people in touch with businesses and services in and out of the valley. The show continues to grow in size and scope. Checketts Amusements will be on hand with bounce houses and other activities for children. 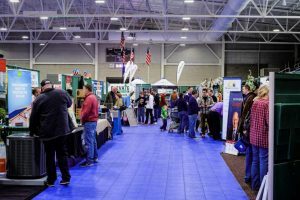 Floyd Naegle, executive director of the of the Ice Center, said the Home and Garden show, with its four to five thousand people in a weekend, is probably the biggest event they have year in and year out. 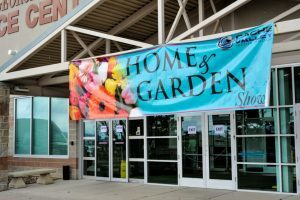 The Home and Garden Show is probably the biggest event the Cache Valley Media Group sponsors during the year. Second place would be the Logan Holiday Gift show held at the Riverwoods Conference Center in early November. The Eccles Ice Center provides great visibility, plenty of free parking, and multiple booth display options. The Eccles Ice arena will open their concessions area for the two-day event. Tickets cost $2 for 13 years and older, 12 and under are free.